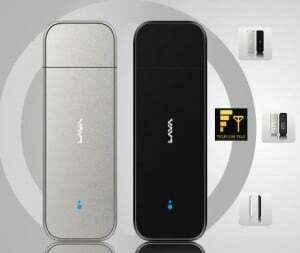 One of the fastest growing Indian mobile manufacturers LAVA Mobiles silently entered in 3G Data Card (USB Stick) market. So after the Micromax, LAVA is going to be 2nd Indian Mobile phone maker that have been added Data Card in their products portfolio. As of now LAVA mobile Introduces only one data card in the Indian market – LAVA 720G which supports 7.2 mbps HSDPA and 5.76 HSUPA 3G Data Network along with backward capability to GPRS/EDGE as well. LAVA 720G 3G Data Card is operator independent (Factory Unlocked) device, means anyone can use any operator’s 3G or 2G SIM in it which will undoubtedly help user to choose best according to him/her rather than bound to operator. It can also be used for SMS and Voice calling. And this product has the capability of expandable memory upto 32GB. LAVA 720G comes with a price tag of Rs.2100 (approximate) in the market which seems really very satisfactory if it compares to other brand like ZTE, Huawei etc. Now it’s the time to see how market will welcome this! i’m using Lava 3G data card but its not working in Mac yoYosemite 10.10, can any body help me plz?